If you read the Southerner you’ve most likely seen James Warren’s name. 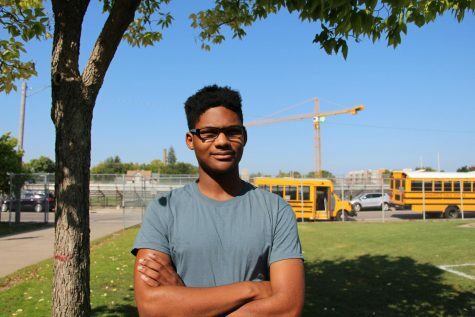 Now adding his second year of newspaper to his high school career, Warren, started out as a unseasoned freshman when he joined. In the past year James has written a plethora of articles ranging in topic and length. On the weekends you can find him relaxing at home or running the greenway, which is about 5.5 miles long. James is really excited to better his writing skills this year in hopes that it will also continue his poetry skills. Now being a sophomore Warren has the opportunity to write more and more, and perhaps, learn from his experiences. Being a jack of all trades if you keep your eye open you’ll definitely see Warren out on the field; taking pictures, getting interviews, and getting the hot scoop!